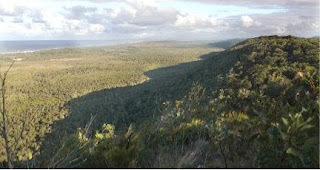 The areas of North Stradbroke Island being mined now and those under threat of mining are all within the boundaries of the proposed new national park to be declared on the island. On 20 June this year Premier Anna Bligh announced, with spin and fanfare, that her Government intended to legislate to end mining and declare 80% of North Stradbroke Island National Park – by 2027. She did not reveal that mineral sands would run out by 2027 anyway, as the miner admitted to the Australian Securities Exchange only last year, nor that her Government could act now to end mining by 2013, using existing legislation. On 20 June the Premier also concealed that her Government intends to renew expired mining leases at the giant Enterprise mine. Instead she implied that no expired leases would be renewed, leading to initial praise from some environmental groups. No reprieve from mining ... under the Queensland Government’s plan for Straddie, much of the island will not be declared National Park until after it has been mined. The key mining lease, 1117, expired on 31 October, 2007. The Bligh Government has allowed mining to continue on it for almost three years beyond its expiry date. Enterprise is the deepest and most destructive mine that has existed on the Island – a hundred metres deep and hundreds of metres wide. It operates 24/7, slowly moving north, destroying complex original vegetation and ancient sand dunes in its path. It is the mine that has featured in numerous newspaper photographs and in television news footage. Unimin has no option or right to an extension of an expired lease. On the contrary, cabinet has no power to renew unless the Mines Minister, Stephen Robertson, is satisfied of each of 10 factors listed in the Mineral Resources Act. If he is not satisfied of even one, there is no legal power to renew. What about the grandkids? ... Unimin’s Yarraman Mine (pictured) will be rehabilitated, but our grandchildren will never get to experience the wonder of the natural eco-systems that were there before. There are several of these which should fail the satisfaction test. But one stands out. Before there is legal power to renew, he has to be satisfied that mining of land earmarked for National Park would be an appropriate land use. How could any responsible minister genuinely be satisfied of that ? Belgian miner Unimin continues to destroy old growth forests and ancient sand dunes on a daily basis through a legal loophole. The Act allows mining to continue until a decision is made. But parliament clearly never intended a massive three year delay. It makes a mockery of the law and of parliament. This is why the Save Straddie alliance of six leading environmental groups recently called on Mr Robertson to apply the law and reject the renewal application without further delay. The Island is known for its wonderful and diverse array of flora and fauna. It has a number of unique and endangered species. 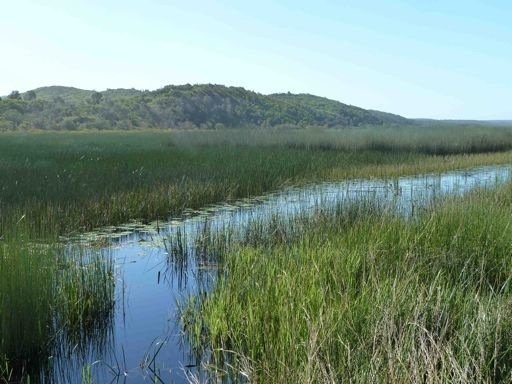 There are magnificent freshwater lakes and its wetlands are internationally listed . The Island’s koala is genetically distinct from the mainland koala, having been separated for up to 8,000 years, and it is the only naturally occurring Island population. At least 244 bird species inhabit the Island, including rare migrating sea birds. Stradbroke with its winter whale watching and summer beach life is already an easily accessible player in Queensland’s tourism market. But the public has been locked out of much of the Island due to mining. 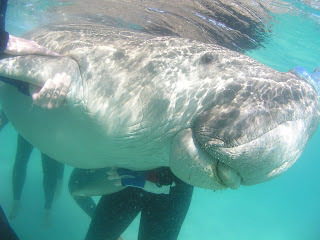 The Bligh Government recognises that eco-tourism is the future in these areas – yet mining continues to destroy this very future and the jobs that go with it. Nature tourists are attracted to intact landscapes. The threatened sand dune systems, which consist of complex layers which mining destroys, are up to 300,000 years old . The complex and varied vegetation, which took thousands of years to develop and which is destroyed to allow mining is unlikely to be replicated. The sand miner’s 'rehabiliation' is a poor substitute for the complex ecosystems destroyed by mining. No one with a critical eye genuinely disputes this. 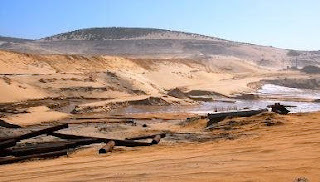 cancelling the Vance silica sand mine lease for serious breaches, involving the decade long unlawful removal of non-mineral sand and its sale to the construction and landscape industries. The Vance silica mine employs less than 20 people. Last year, CRL, then a public company bound by Australian laws requiring reporting to shareholders, told the Australian Securities Exchange that the only other mine, Yarraman, will run out of minerals in 2013 and that it will shed half of its Island employees anyway, leaving about 100 jobs on the assumption that Enterprise continued. Recent denials of these job losses by Unimin, a private Belgian company with no obligations to Australian shareholders, should be treated with utmost scepticism. The Court of Appeal recently held that Unimin’s decade long removal and sale of Island sand was unlawful. The company is now facing criminal charges. It also misled the Supreme Court last year when attempting to justify its unlawful activities at Vance. When mining finishes, there is a huge amount of work filling in the 100m deep hole at Enterprise and in re- vegetating all three mines – five years work for the employees. This is a reasonable transition period, particularly in a transitory industry. Most miners realise that mining jobs involve moving on from time to time. Fifty years of mining on Stradbroke is already too long. Unsurprisingly, according to respected scientific opinion, any more will threaten the ability of the damaged areas to recover to a reasonable state. Rehabilitation is a fundamental condition of mining leases. The Government is holding bonds of over $40 million to help ensure this. There will also be many business and job opportunities in Island tourism and related services industries on the Island. For career miners, Unimin itself has nine other mines in Queensland and 40 around Australia and there are many alternatives in a growing industry. Despite the serious flaws in its plans to end mining, the Bligh Government should be congratulated for its recognition of native title rights on Stradbroke Island and its planned joint management of National Park with the traditional owners, the Quandamooka people. We hope that the Government will soon recognise that it would be grossly irresponsible to extend expired mining leases to allow land to be trashed by mining before it is declared National Park and that it will move quickly to phase out mining on fragile NSI. The additional benefit will be the protection of future, long-term employment opportunities in nature tourism and related service industries.